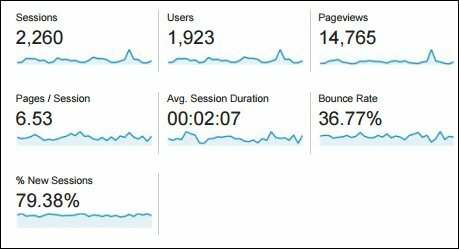 Several people have recently asked me questions about Google Analytics, which is partially responsible for why I’m sharing this blog post with you. This post will answer a few popular questions about Google Analytics and explain how to look at the general website performance overview, provided by Google. Here we go! Sessions: The number of times your website was visited – Many people consider this to be the most important metric. They want to see how many visits their website is getting. Is 2,260 a good number of visits for you, per day, per week, per month or per year? Continue to look at this metric to see if your visits are increasing or decreasing. Users: The number of individuals who visited your website – Do you want to make sure you’re getting a lot of new users to your website? If so, that’s what this metric will tell you. Again, look at this over the course of several months, and see if it is increasing. 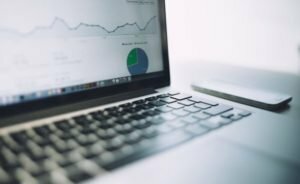 How can you better position your website to get more users? That’s where SEO and off-site marketing will come in. Be sure you’re doing all you can to get new users. This is very important. Pageviews: The number of times a page on your website was viewed – Once someone visits your website, do you keep them captivated with great content? Pageviews gives you an idea of how popular your website is, once a person gets to it. Pages / Sessions: The average number of pages that were viewed per session – Personally, I think this is on of the most important metrics. This tells me how many pages a person looks at, on average, when they get to your website. If the number is high, then you’re doing a good job keeping people engaged. They aren’t getting bored and you aren’t losing them after they hit the first page. If you’re doing a good job moving them around the site, then you’re probably doing a good job getting them to go into your sales funnel. Avg. Session Duration: The average amount of time a user spent on your website – Do people spend 10 seconds on your website and get frustrated because they can’t find what they’re looking for? Do they spend an hour on your website because they just can’t get away from it? An hour is probably WAY overkill, but you get the idea. How good is your website at keeping people engaged? How much time are they spending on your website? Bounce Rate: The percentage of people who landed on your website, and then they left your website, without ever clicking over to another page within your website – This is another metric that I consider to be one of the most important. What is the percentage of people who land on your website and then they directly leave? If they’re hitting your website, and then bouncing off, that tells me they aren’t finding what they’re looking for, or the website isn’t doing a good job at directing them from one page to the next. Do 95% of your visitors bounce (leave right away) or do only 5% of your visitors bounce? This is important for you to know. But keep in mind, a high bounce rate isn’t always bad. It could be that 0% of your visitors are bouncing when they get to your homepage, but 90% are bouncing when they get to your blog. It may average out to a 30% bounce rate for your entire website, but that’s not bad. After all, a person who visits the blog is just there to read the article. If they come regularly to your blog, then they don’t need to visit another page. All they wanted to do was read that new blog post and then leave. That’s a bounce. You can drill down and see the bounce rate for each page of your website. See which pages aren’t doing so well. % New Sessions: The percentage of website visits that came from someone who had not previously visited the website – This can be very insightful, because it gives you an idea as to how well your website is attracting new visits [and potentially new business]. Try to get that number to go up, if you’re looking for new leads and opportunities. I was going to write more about Google Analytics, because there is so much more you can do with this amazing tool, but this blog post has already gotten kinda long. So, I’ll pick up on this in a future post. If you have a specific question about using Google Analytics, or if this has been informative for you, I’d love to hear about it in the comments section below. Please don’t be shy. Thanks for reading, and if you need help with your marketing, please click the image below.